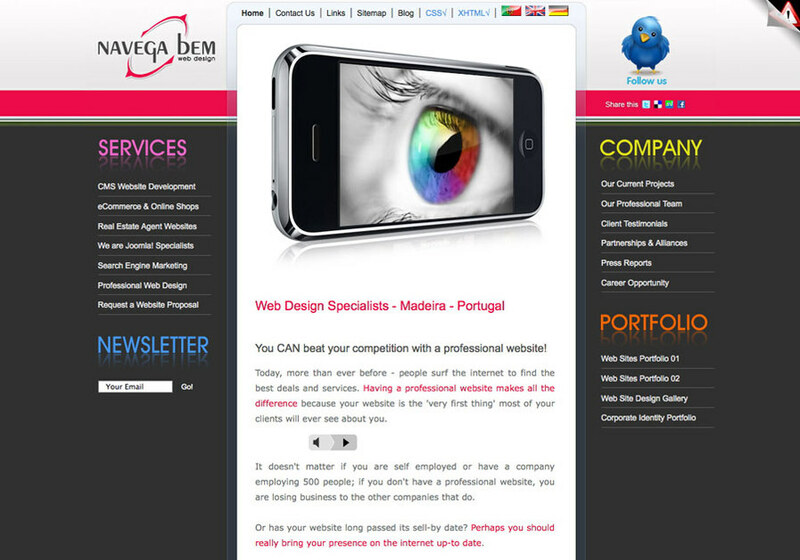 'Navega Bem' is a reputable web design and development company based on Madeira island, Portugal. Our expertise in the web design industry goes back to the early 90's where we began creating attractive, high ranking web sites - particularly for the hotels and tourism industry. Today we are engaged in the successful production of challenging web projects in many diverse industries on an international level - projects that win awards. We are Joomla! Professionals - We love Joomla! We specialize in the the design and development of quality CMS websites (Content Management System) crafted around the award winning Joomla! framework. That means we create websites that you can update yourself without any technical experience and without our help. Wow!